Being a devoted dad is former bull rider Adrian De La Cruz’s top priority. 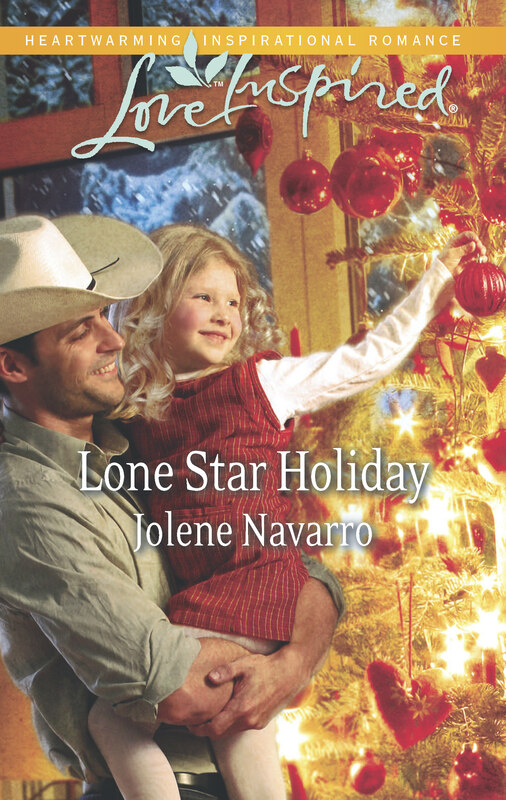 So when Mia suffers a rodeo injury and winds up recovering alongside Adrian’s first crush, Nikki Bergmann, he becomes even more protective of his daughter—and his heart. Nikki is back in Clear Water solely to recover, and he knows she has no intention of staying. But as the bond between Mia and Nikki grows, Adrian can’t help falling for her once again. Until Nikki’s long-buried secret comes to light, and Adrian must decide if he can forgive the past, or face a future without the woman he’s never been able to forget. Sofia De Zavala wants to help her father run their family’s Texas ranch—but he has other ideas for her future. Faced with an arranged marriage, Sofia dresses as a boy and joins a cattle drive, determined to prove herself to her father. But her plan backfires when she’s forced to save her reputation by marrying trail boss Jackson McCreed.Jackson thought he was hiring a scrappy young boy—instead, the wary widower has landed his business partner’s feisty, headstrong daughter as his bride. He believes a marriage of convenience is the best they can hope for. But Sofia dares him to look to the future again…and find a love strong enough to lasso a lifetime of happiness. September 2016 Clear Water #4: The Soldier’s Surprise Family. Karly Kalakona’s new nursing job is the perfect Christmas gift she and her son needed for their future. The single mom just never counted on dealing with not only a stubborn patient but also with his prodigal son. After years away, pilot Tyler Childress is only a temporary traveler to the Texas ranch he’s spent his life escaping. But the chemistry he shares with his father’s nurse is undeniable—and has him thinking of sticking around past the holiday season. Can Tyler learn to trust the woman whose caring ways are bringing his father back to life…and who might just be the partner his wandering heart can find a home with? Single mom Vickie Lawson is back in her Texas hometown, intent on making a better life for her children. But when her son’s troubles lead childhood sweetheart Jake Torres to her door, she realizes her feelings for him never went away. Now a State Trooper, Jake vows not to be distracted by the beautiful woman who once held his heart. He’s never revealed to her the secret that tore them apart. Jake fears if he does, she—and the whole town—will never forgive him. If Vickie and Jake can untangle the past, they may have another chance at forever. Twelve years ago, Lorrie Ann Ortega ran from Clear Water, Texas for fame and fortune in Los Angeles. Now emotionally and spiritually bankrupt she returns to the only home she has ever known, her aunt’s Pecan Farm. She meets single father and pastor, John Levi. John Levi, She agrees to help with his two daughters and the Annual Christmas Pageant. To the small town’s surprise former wild child Lorrie Ann is the just Christmas miracle the lonely pastor needed. Currently, I am working on stories of faith, love and family. All of the stories take place in the fictional small town of Clear Water, Texas. It is a small town in the Texas Hill Country with a population of about 400 people. Can’t get much smaller than that! The first story of single dad Pastor John Levi and Wild child LorrieAnn Ortega will be released October 2013 with the Love Inspired line at Harlequin. Hi Judy – Thank you – Blogs are great for picture takers! Haha. I man I can’t imagine the opportunities for photos in Italy. Good luck with you ms. It’s exiting to finish. I just finished book four in Clear Water and it feels good to put THE END on a story.